Pump in Style comes in two types in terms of input voltage, 9V and 12V. You can identify its voltage by looking at the faceplate of your pump. 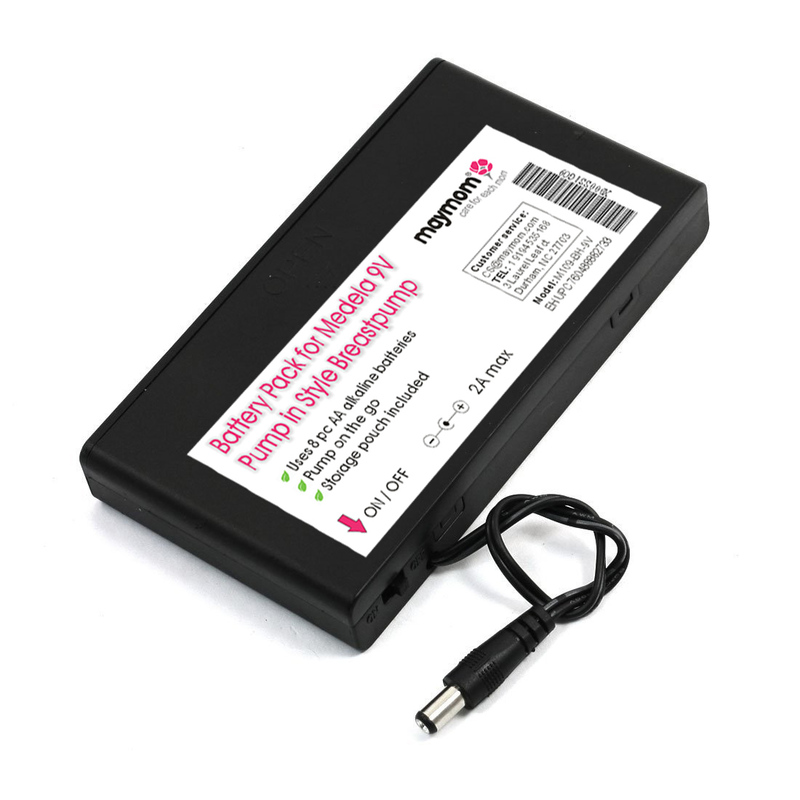 This battery pack is designed to be used with the "9VDC" pump. If you have a 12VDC pump, DO NOT buy from this listing. The battery container identification of 12V is referencing total voltage of 8 pc of alkaline batteries. The reference to use with the 9V pump is reference to pump's using the 9 V AC adapter having an output of 9VDC. You can find this "9VDC" mark on the faceplate of your pump. Uses 8 AA (or UM-5) batteries (not included).